June | 2010 | Food E.
My mother always tells me, “You had the only Italian grandmother who couldn’t cook.” Grandma Mel may have made more imitation-crab salads than meaty lasagnas, but she made one dish that I will never forget. And in this CONSTANT heat and humidity, my craving for it hit me like a Mack truck. *I’m not sure if once again this was my local grocery or a trend in canned fruit, but I could only find mandarin oranges packed in light syrup instead of real fruit juice, which I HATE. Because I could only find the sugared oranges, I only added 1/2 cup of sugar. You really don’t need all that extra anyway. You get it. Once again, this weekend was a scorcher. It’s forcing the cook in me to be creative and devise recipes and meals that don’t require my oven but are also innovative and appetizing enough to keep me from calling up Delivery.com. You know the feeling. I dined on some INCREDIBLE Malaysian stew Sunday night for dinner, and will have that recipe for you tomorrow. In an effort to start your weekend off right (and drooling) this is a quick meal I whipped up sans oven and in two lovely little pans. It’s incredibly basic, and you’ll notice my fridge staples in there: tomatoes, goat cheese, and walnuts. If I have them on hand, I never go hungry. There is no magic recipe here, folks. 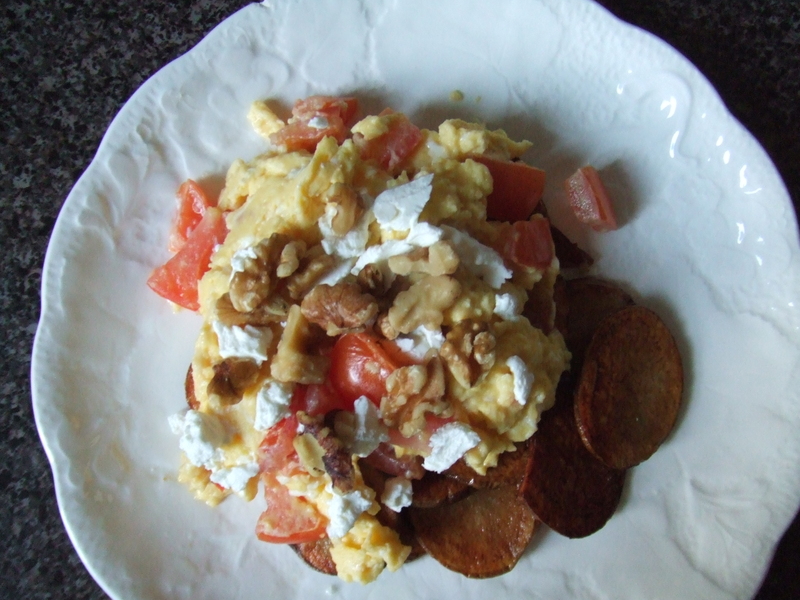 One tip I will share with you is my recipe for the PERFECT scrambled eggs. You start with a clean non-stick frying pan, and spray a little cooking spray in the pan. In a small bowl, whisk together the eggs with a little milk and about 2 Tbsp cheddar cheese. Pour the egg mixture in the frying pan, and turn heat to LOW. This is important. Keep the heat at low the entire time, constantly moving the eggs in the pan with a spatula. Once the eggs start to firm up (when almost all the liquid is gone) turn off the heat. NOTE: eggs continue to cook even after you remove them from the heat, so if you want them delicious and creamy, kill the heat just before they’re done. Et voila! I fried up some potatoes in an adjacent frying pan, plated them, poured the scrambled eggs over top, and added my toppings. It’s attractive, satisfying, and it took me literally 15 minutes to make. Tomorrow: Malaysian stew! Get ready. It’s gonna be good. This is a strange post. I will warn you straight off the bat. But I am so intrigued and impressed with what I managed to do with this unknown green, that I can’t help but post it ASAP. My boss, who participates in CSA (Community Supported Agriculture) and receives more greens than she knows what to do with, brought me a bag of what she said were dandelion greens. I was all set to make a beautiful salad with the dandelion greens, but when I got the bag home and opened it up… I realized something. Those were absolutely not dandelion greens. It was a broad, dark green leaf with a yellow stem that looked and tasted like celery. WTF, mate?! Does anyone know what this is? I’ve exhausted Google and I can not figure it out. I sampled the leaf, though, and created something beautiful (I am soooo humble, I know) that you should definitely try the next time you’re fed up with gross store-bought salad dressing. Roughly chop lettuce into bite sized pieces. Heat olive oil over low heat. Add garlic and onion and cook for around 6-7 minutes, until they are fragrant and the liquid in the pan is a light purple color. Add honey and salt and mix well. Remove from heat. Whisk in balsamic vinegar. 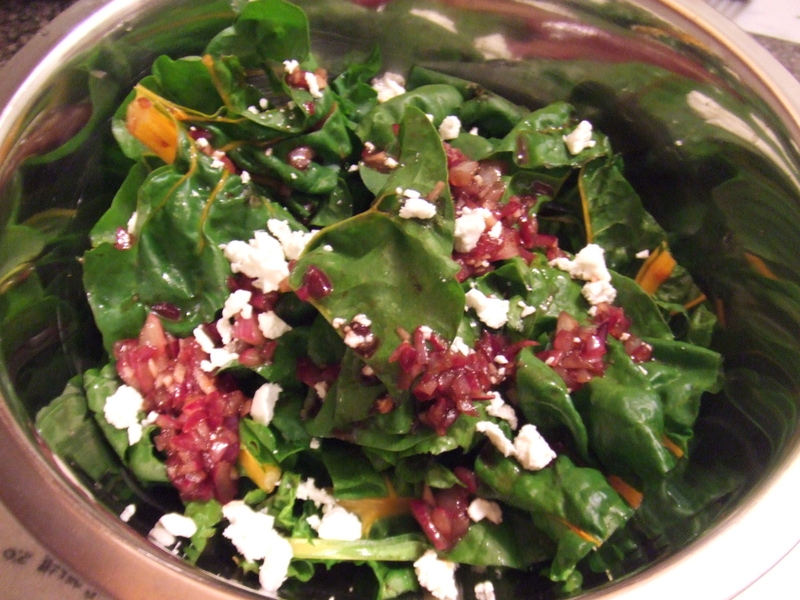 Plate the greens, pour warm dressing over greens, and crumble goat cheese over the dressing. My plea to you, dear readers, is to find me the name of this lettuce! It is not dandelion greens. This much I know. UPDATE: rainbow kale! Thank you to Joelle for filling me in. She also let me know that rainbow kale is not only lovely, but delicious thrown in a hot pan with a little cheese. Cheese, you say? Alright now. Today was hot. VERY hot. I drank some ice water, I ate a popsicle, I took a cold shower. And guess what? I am STILL. SO. FREAKING. HOT. And you know what is on my mind? I think you can guess. Ice cream. There is no better cold weather treat. I thought, in lieu of cooking or eating or even moving from the whisper of a breeze that blows through my apartment window every hour, I would do an ice cream roundup. Yum. 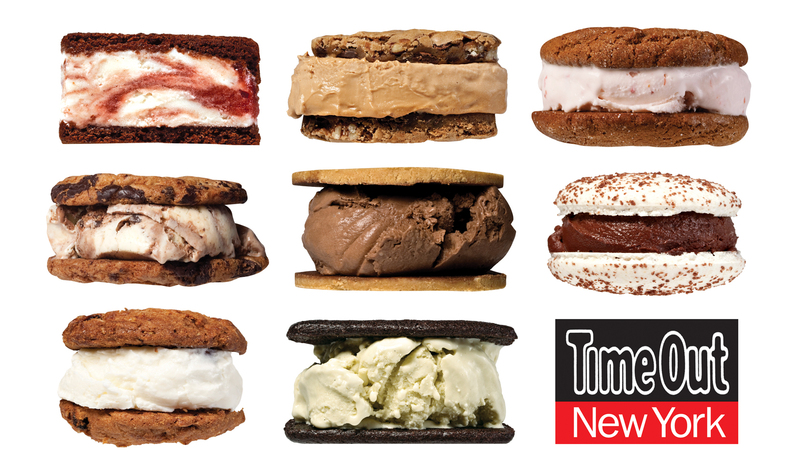 Time Out New York did a roundup of what they think are the eight best ice cream sandwiches in the city. I have yet to taste any on their list, but I highly suggest you pick up a copy of the magazine, if only just to drool while you melt into a puddle in your air-conditionless apartment. No? Just me? Did you know the month of July is National Ice Cream Month? Who cares if it’s true! It’s an excuse to eat ice cream like it’s going out of style. And for the month of July, chefs at Kimpton Hotels across the country are offering special ice cream dishes like vanilla bean gelato with caramelized popcorn and caramel sauce (New York, NY) and Pennsylvania sweet corn ice cream with elephant heart plum and ginger gelato (Philadelphia, PA). For more info on your local Kimpton Hotel and their cheapo ice cream deal check their website. 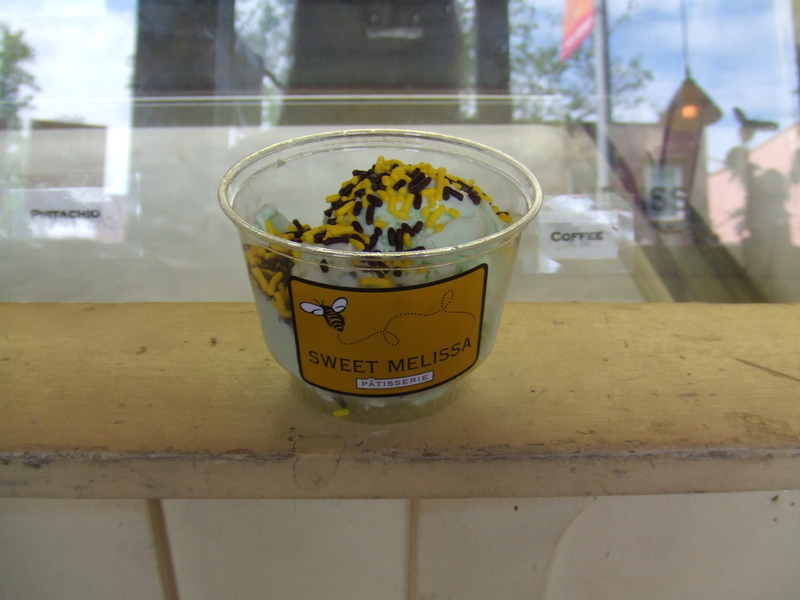 If you live in New York City, you will literally trip over the endless ice cream options offered in and around New York. Two of my favorites include the Donut Ice Cream Sandwich at Peter Pan Bakery in Greenpoint, Brooklyn (vanilla ice cream sandwiched between a split red velvet donut, or cookies and cream ice cream sandwiched between a plain cake donut) and the pistachio ice cream at Sweet Melissa in Carroll Gardens, Brooklyn. Ice cream! Way better than the Mr. Tasty blaring his abominable song on your street corner, and way more legal than taking a dip in the Lincoln Center fountain. Living in New York City, the closest most of us come to growing our own food is a box on our fire escape with some basil or tomatoes. However, if you’re like me and you’re luckier than a leprechaun riding a unicorn through a field of four leaf clovers, you have a neighbor and friend who has a fig tree AND a peach tree in her backyard. It’s like Eden over there. Combine vinegar, shallot, and rosemary in a small bowl and let sit for 10 minutes. Add figs and honey to vinegar mixture, fold in, set aside. Melt butter in a small sauce pan over medium heat, add garlic and sautee until garlic is browned. Add corn and sautee for 4-5 minutes. Add heavy cream and increase heat. Stir and cook until the liquid has reduced and the cream coats the corn. Let this mixture cool, and then blend until smooth in a food processor. Pound 2 chicken breasts flat, season with salt and pepper, and then grill, either on an actual grill or in a frying pan for 6-7 minutes on either side. 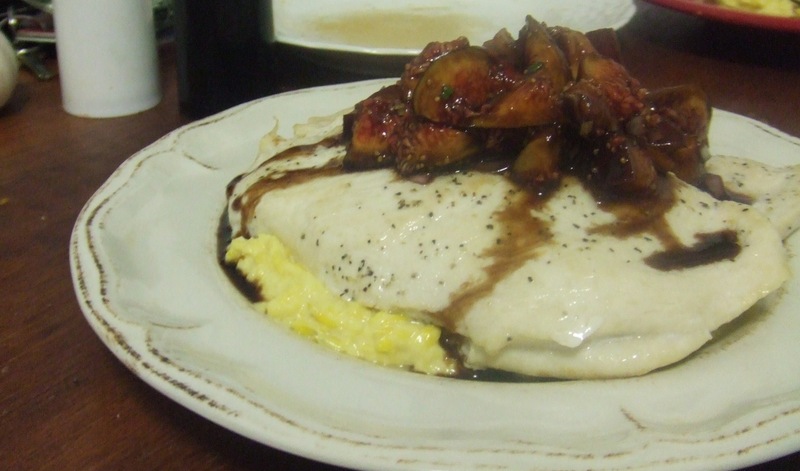 To plate, pour the corn puree onto a plate, place chicken breast on the corn, and top with the fig relish. *Note: it is not quite fig season yet (usually end of summer, early fall) but dates would also work in this dish, or red plums. You could use dried figs but you’ll get a very different texture and flavor. Still delicious but… different. If you read this blog on the regular, you have probably gathered by now that I like cheese. And if you’re especially perceptive, you know that I like melted cheese. It’s like a hidden message I have buried deep within the posts. Subtlety is my forte. Slice the potatoes and squash VERY thinly, about an 1/8 of an inch thick or thinner if you can manage. [NOTE: if you have a mandolin, use it. If not, a very sharp chef’s knife will work] Toss the potatoes, squash, and onions with the olive oil. Season with a bit of salt and pepper. 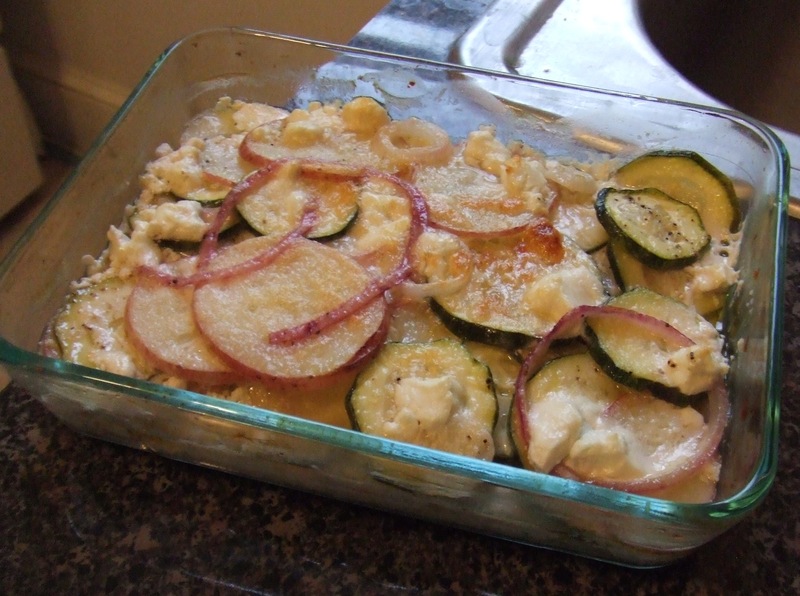 Layer 1/3 of the potatoes, squash, and onions in a large baking dish. Season again with a bit of salt and pepper, and crumble goat cheese over the whole layer. Repeat the “Layer, season, crumble” 2 more times until you’ve used up all the potatoes, squash, and onions. Sprinkle the grated parmesan over the top of the dish. Bake for 30 minutes with the dish covered, and another 15 minutes uncovered until the cheese is browned. Serve. Eat. Pat belly. Smile. *Note: this recipe was adapted from this recipe at The Kitchn. Their picture is GORGEOUS. It’s worth a click. Happy Monday, friends! If you live in New York, you know it was quite a scorcher this weekend. If you live in South Carolina, you have probably melted into a puddle by now. Needless to say, using an oven on the east coast was not anyone’s first choice this weekend. I planned to bake biscuits today but the mere thought of turning my oven to 500 degrees made me sweat. Hopefully tomorrow I’ll have a beautiful post with pictures about the BEST BISCUITS IN THE WORLD (seriously… trust me…) but today I give you this. Whenever I am at a loss, wondering what to make for dinner that doesn’t require a lot of ingredients, extensive kitchen time (i.e. the hottest room in the apartment), or turning on my oven, I click that link right there. 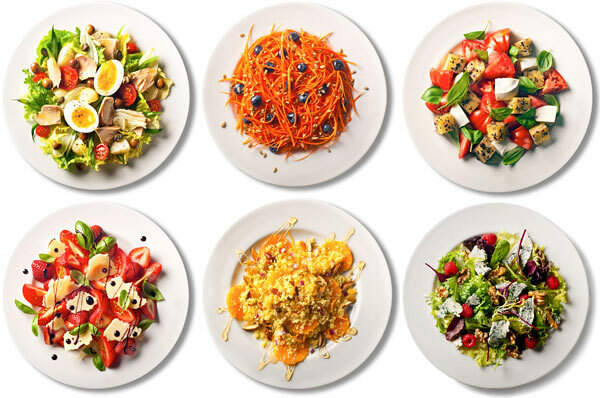 Mark Bittman of the New York Times wrote this piece for The Minimalist last year and I’ve sworn by it ever since.